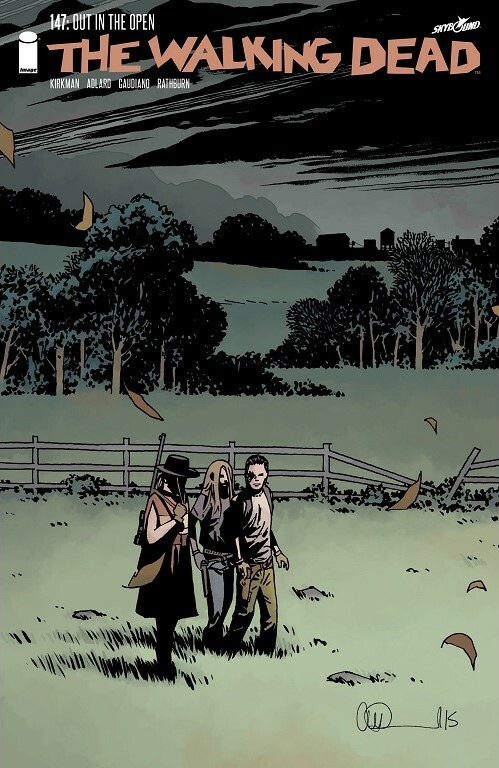 A Look at The Walking Dead #147: “Out in the Open” | What Else is on Now? So how do the communities decide to take action against The Whisperers? Well, for starters, they can’t because they really don’t know what they’re up against. What they do know is that they’ve lost people close to them and will take any and all means to strike back, even if they aren’t thinking rationally and just come up with half-assed plans. 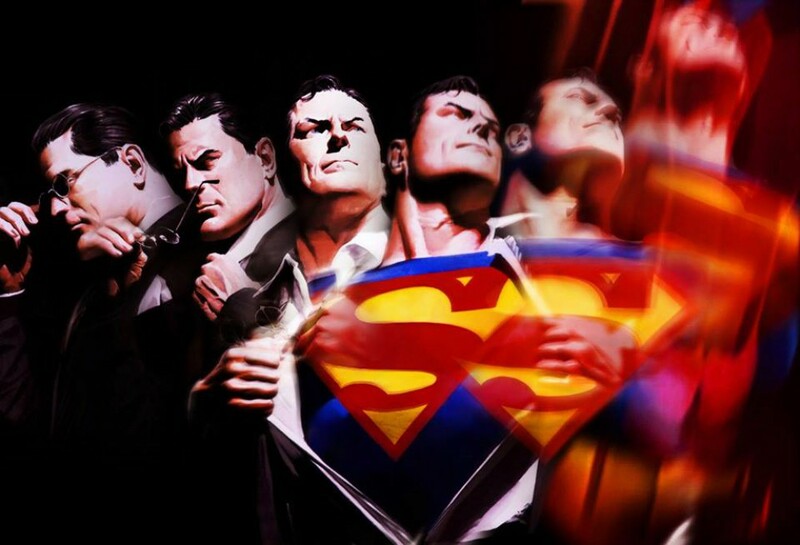 Right now, people just want revenge. And this is how Eugene is trying to justify his suggestion of using Lydia to their advantage. It’s out of left field for someone as quiet and reserved as him. Between him, Abraham, and Rosita, Eugene was often the most timid and least likely to resort to violence. Now he’s advocating using Lydia not just because of what she’s capable of, but what she’s done. It’s guilty by association, as far as Eugene is concerned. He has motivation: Rosita and her unborn child are dead. Sure, Eugene is a better man than he’s presenting at the moment, but he’s just lost someone important to him and he’ll never take care of the child that he knew wasn’t his. He’s less interested in calming down and more in just seeking vengeance. 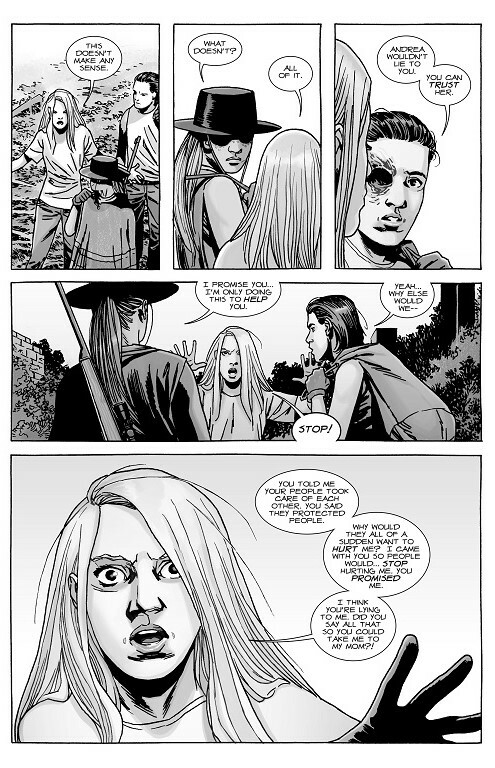 Given the reactions after Rick announced the murders, Eugene’s warning that others in Alexandria would also want to seek revenge is all but certain. And both Rick and Andrea have to know this. Hell, I imagine this has been on their minds since locating the bodies. I get that Rick doesn’t trust Lydia all that much, but I don’t get how he’s so willing to trust Carl, particularly when the boy went out of his way to travel with The Whisperers and say that the world, not his own father, raised him. 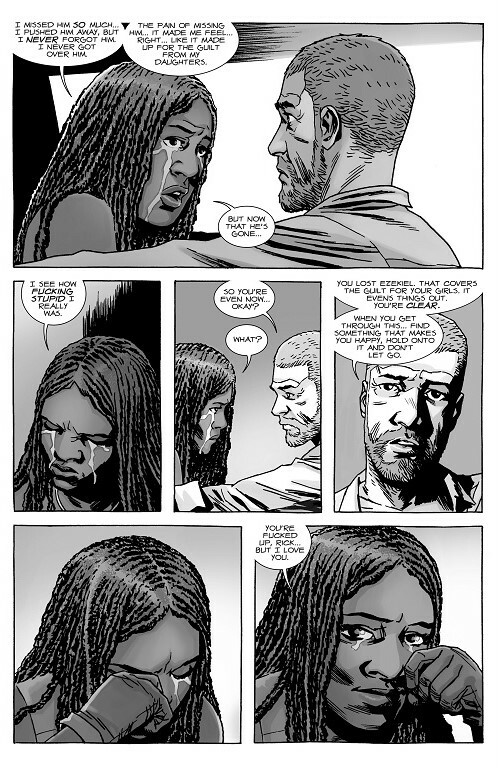 The talk between Rick and Michonne builds off of their conversation from #139 about finding and holding onto happiness in light of missed opportunities. 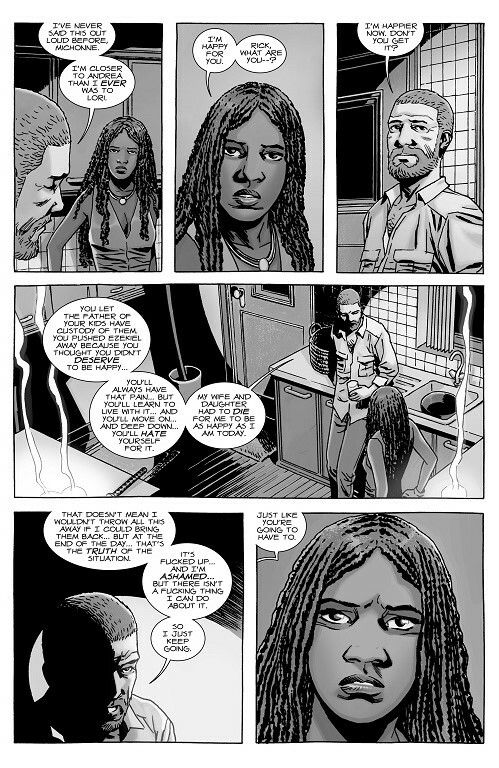 With Ezekiel now dead, Michonne realizes now all the time she spent distancing herself could have been spent better getting to know Ezekiel. It’s a pain that will stay with her forever and she’s forced to live with it, but rather than dwell on it, she can choose to move forward and find new happiness. In a way, that’s what Rick has done in his newfound relationship with Andrea. Hell, not even Jessie could fully replace the lost love life he’d endured since losing Lori and Judith to the Governor. But Andrea, someone who has been in the group for a long time, has formed a bond with Rick that goes beyond anything he had with his actual wife. It is pretty fucked up and damn screwy for Rick to come out and admit that, yes, his wife and baby daughter had to die for him to be as happy as he is now. 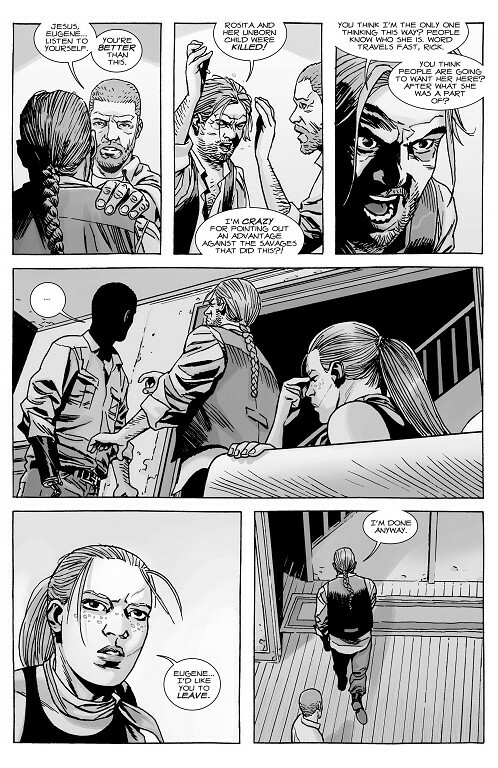 He now has a surrogate wife through Andrea, who has become a new mother figure for Carl. Part of me wishes we got to explore more of Rick’s psychosis when it comes to his relationship with Lori. He spent so much time talking to her voice on the phone after she died, and now he’s admitted that he’s happier than he’s ever been due as a result of Lori and Judith’s deaths. Death is all too common in this world. Less so now that there are ways to neutralize the threat of roamers, but as Rick and company have progressed, from Atlanta to Alexandria, they’ve adjusted to loss. Andrea and Dale took in Billy and Ben as their own despite not being their birth parents, same thing with Maggie and Glenn adopting Sophia. 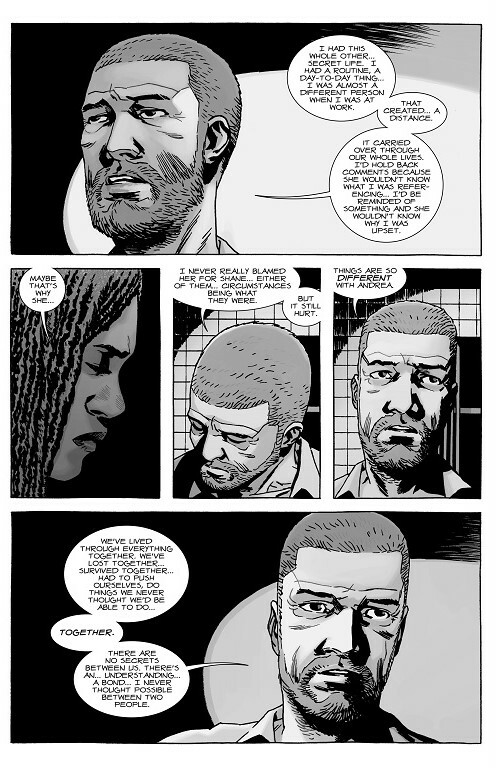 Rick is adopting an entirely new spouse through Andrea and he’s happy, but what does that say about his state of mind where his real wife and child had to die for him to attain some semblance of happiness? And what does it say for the characters to acknowledge said pain, but just bury it, knowing that they’ll hate themselves for feeling that way? It’s like wearing a mask, and Michonne knows plenty about that. Right now, as Rick advises, she needs to find something that makes her happy and never let go, as opposed to beating herself up over the past. The past can hurt, yes, but it hurts more if you refuse to move forward. The ending is a bit abrupt. Now, I get the need to have a cliffhanger to entice riders, but it doesn’t ring all that true to me because I don’t see Lydia shooting Andrea. Threaten, maybe, but not outright shoot. I get that she’s confused about her situation. Carl told her that his people take care of their own, now she’s being taken away from said people in order to protect her life. She doesn’t get that she can be tied to the Whisperers, even if she didn’t commit any of the 12 murders. So I’m not understanding why she doesn’t think this through, or why she’s just learning of this now. Wouldn’t someone like Rick or Andrea inform her prior to this point? And Rick and company have kept Lydia safe so far, so I don’t see why she’d turn on them so quickly. Again, it’s a quick way to end the chapter, but we’ll see what becomes of this confrontation next time. This entry was posted in The Walking Dead and tagged Andrea, Carl Grimes, Dr. Eugene Porter, Judith, Lori, Lydia, Michonne, Rick Grimes, The Walking Dead, Whisperers by omarid513. Bookmark the permalink.